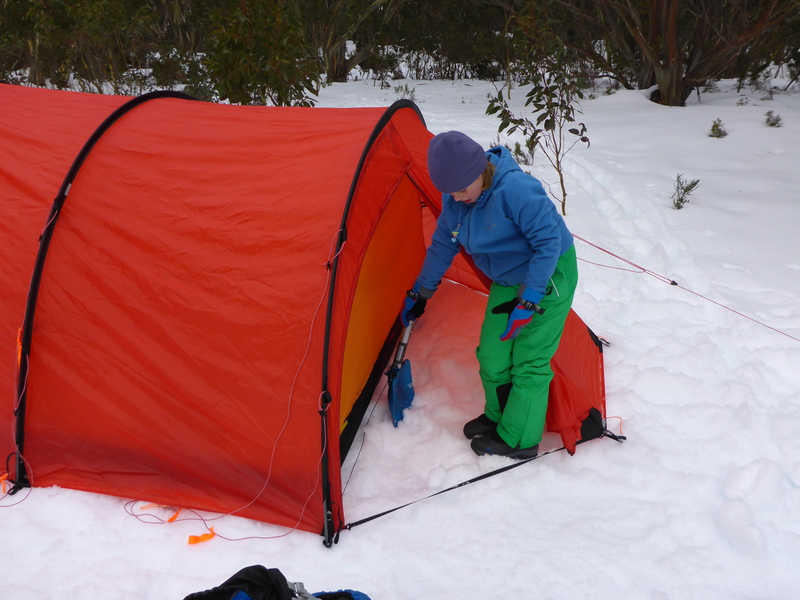 The 2015 Victorian snow season was short and disappointing – but I still managed to get away for a few good trips. 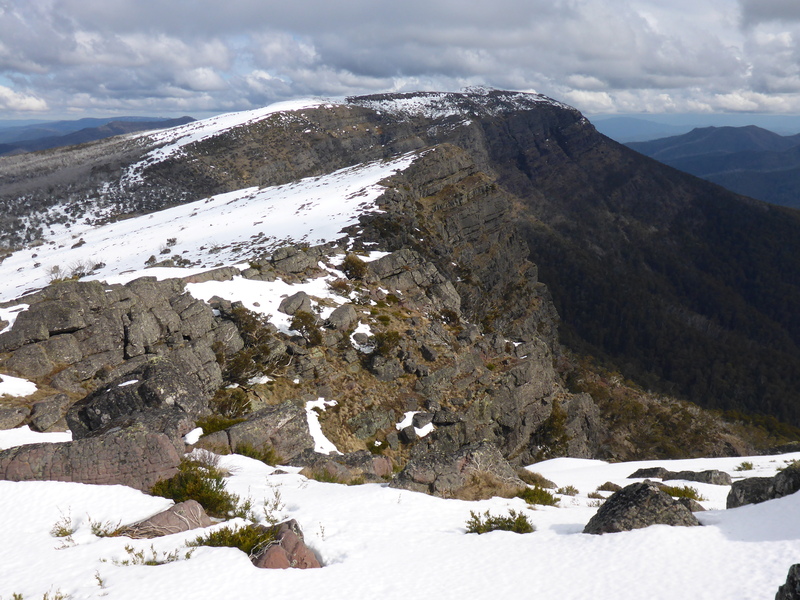 None of them are worthy of a trip report individually, so I have put together a compilation of 3 trips to share some photos of the little snow I managed to find. 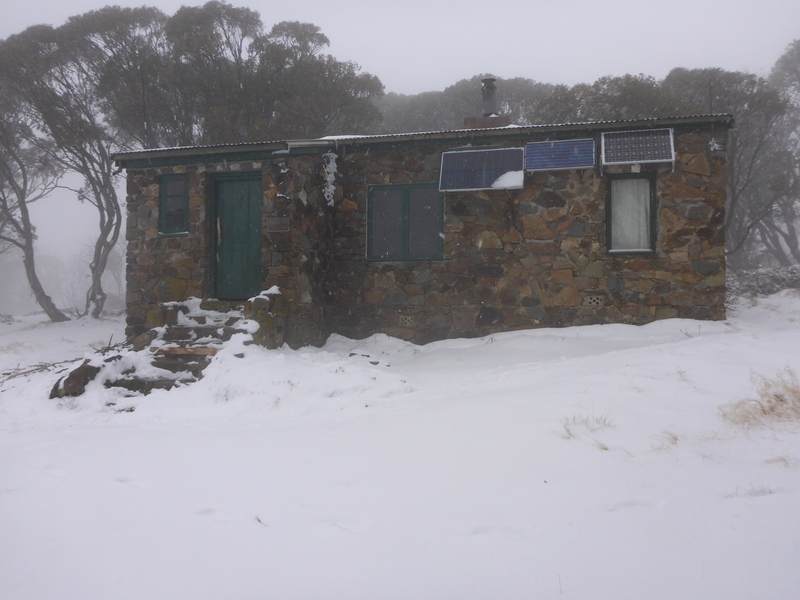 Not much snow had fallen in the Victorian alps by July but the Bureau was forecasting a serious cold snap so my mate Alex and I headed up to Bogong for a night. 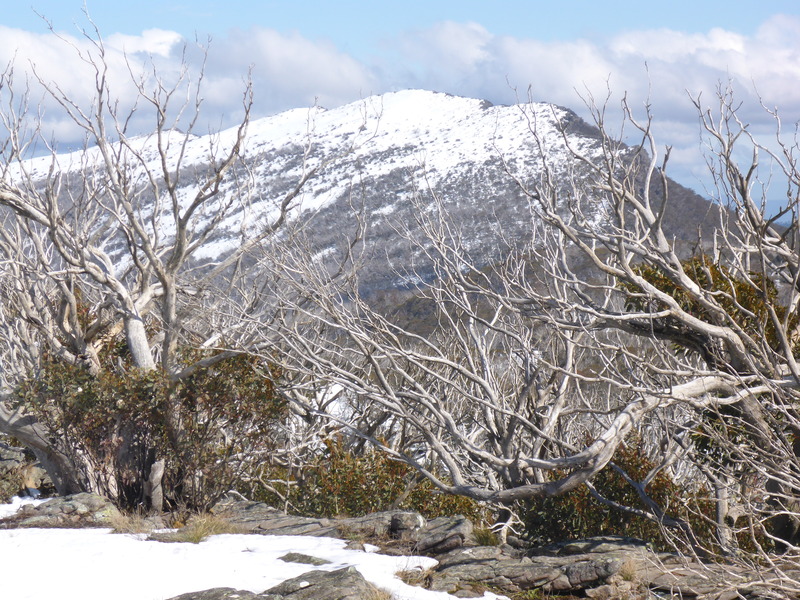 At an altitude of 1986m it is very low by international standards – but it is the highest peak in Victoria and a great spot for a walk. 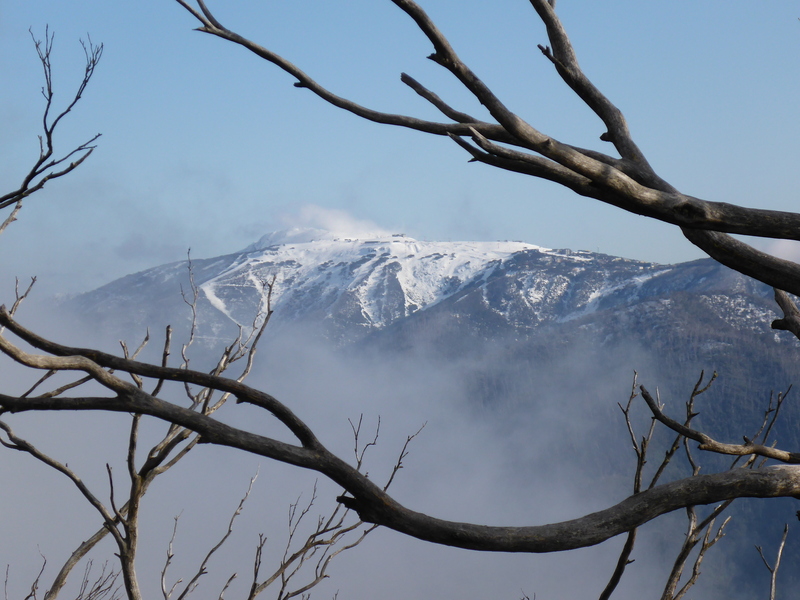 From the camping area at Mountain Creek (590m above sea level) it is a steady climb of nearly 1400 vertical metres to the summit of Mt Bogong and a total distance of about 13km to Cleve Cole hut (1770m). 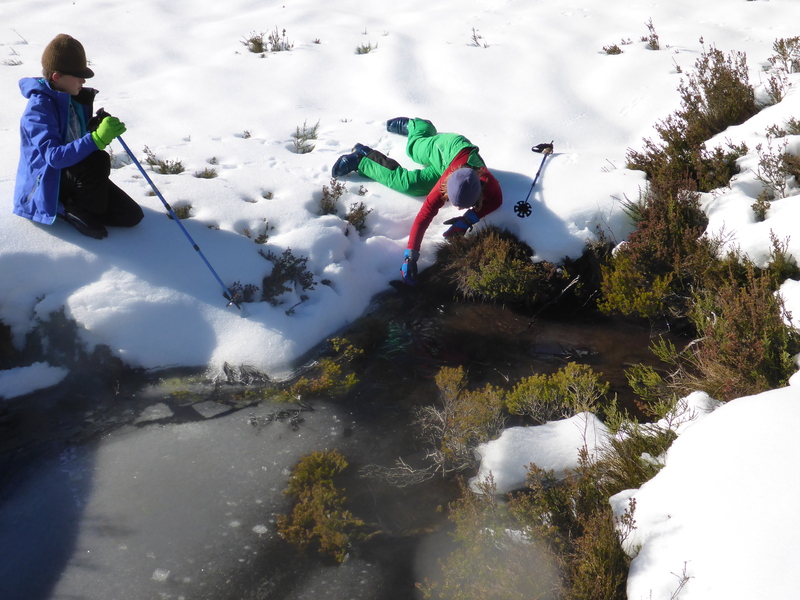 It took us about 6 hours each way but it depends a lot on the fitness of your group, the weather, how deep the snow is, how much gear you are carrying and how often you need to stop for a cup of tea. 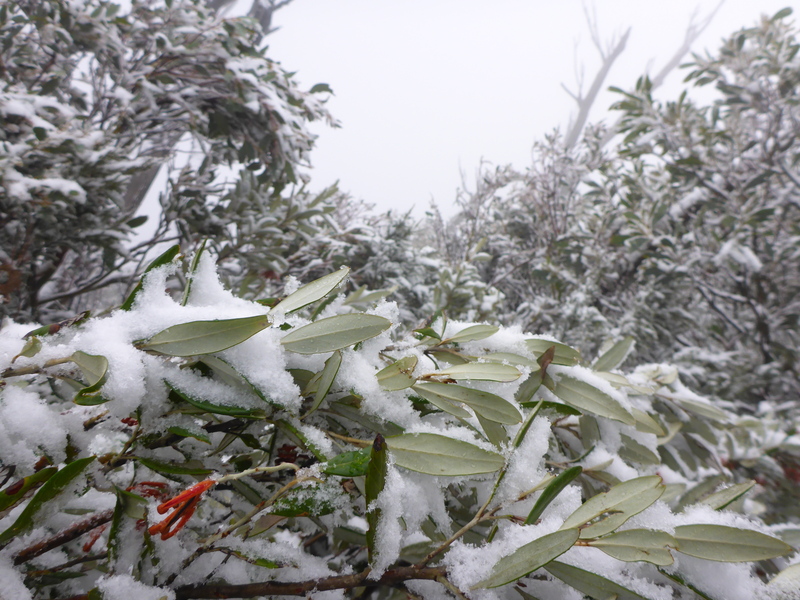 The snow wasnt deep at the summit of Mt Bogong but the weather and visibility was pretty average. 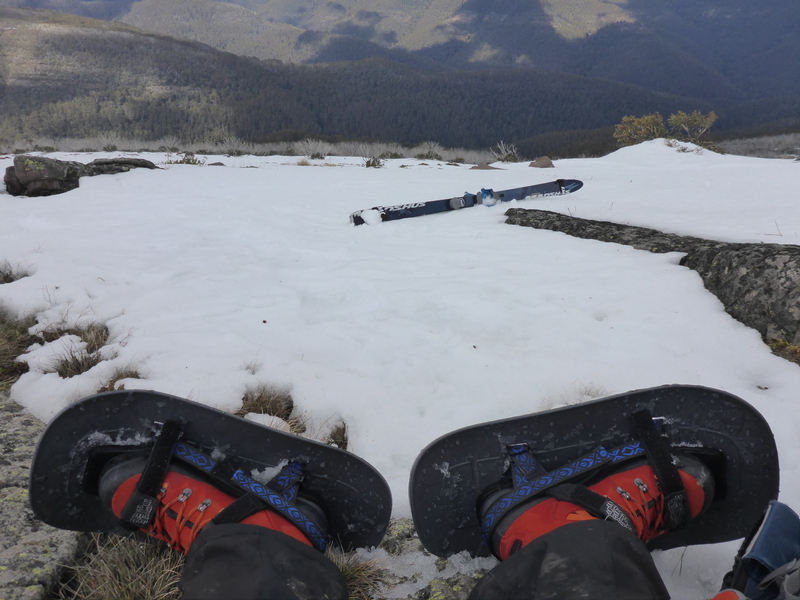 We both had snow shoes but we just carried them on the first day because the snow wasnt very deep. This was taken before the weather turned nasty. 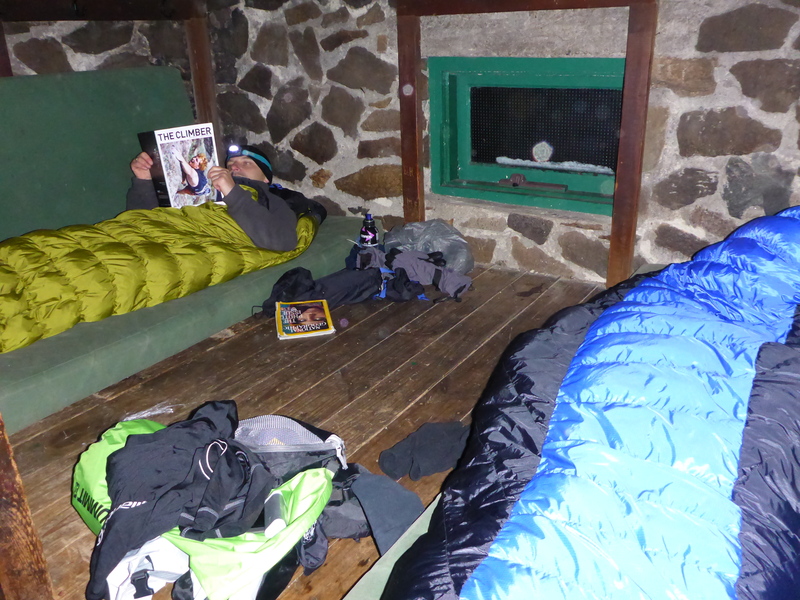 We got to the hut pretty early so we did a fair bit of eating and then had an afternoon nap. 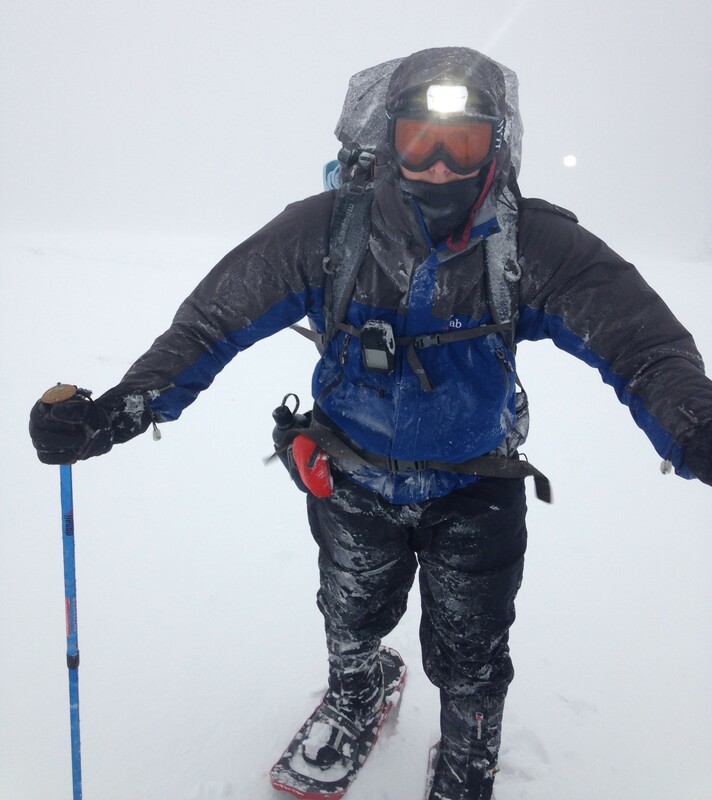 Walking back out on the second day was quite unpleasant. 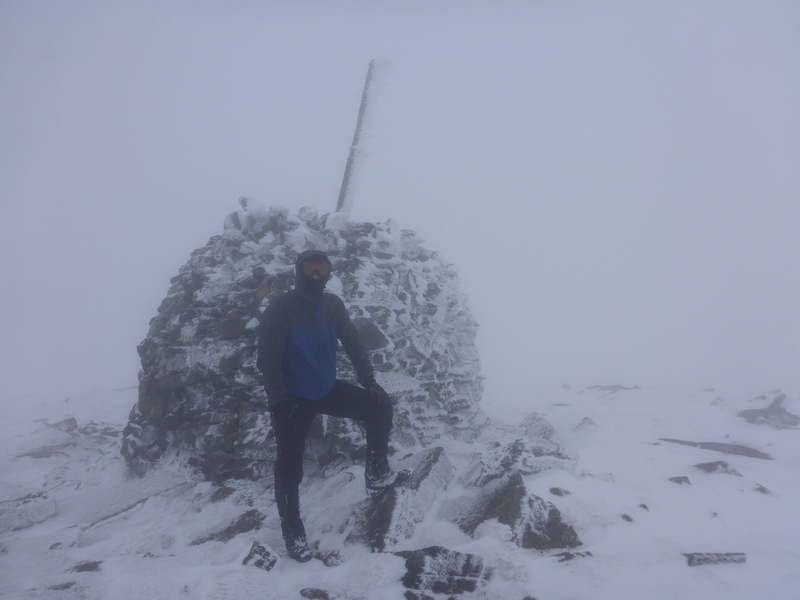 The winds were very strong and the snow/sleet/rain combo was killing my exposed nose. 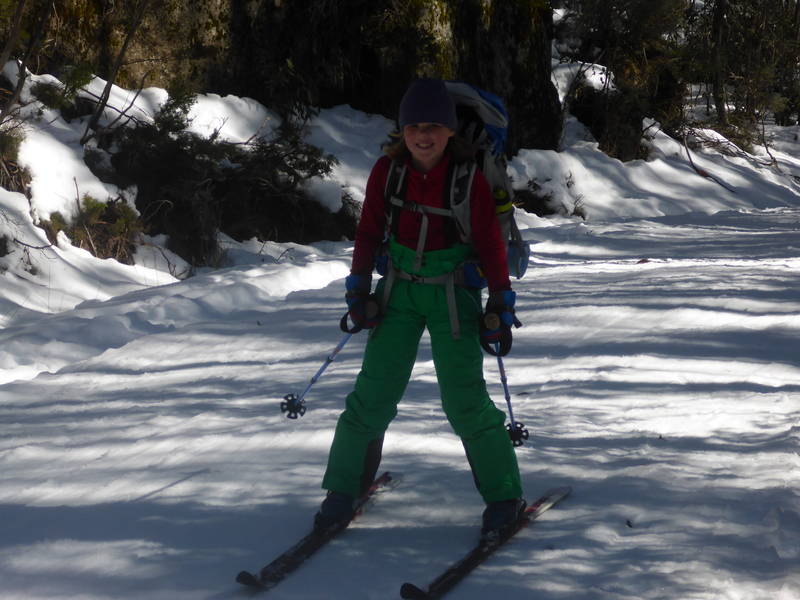 It had snowed quite a bit overnight so we wore our snowshoes on the way out. 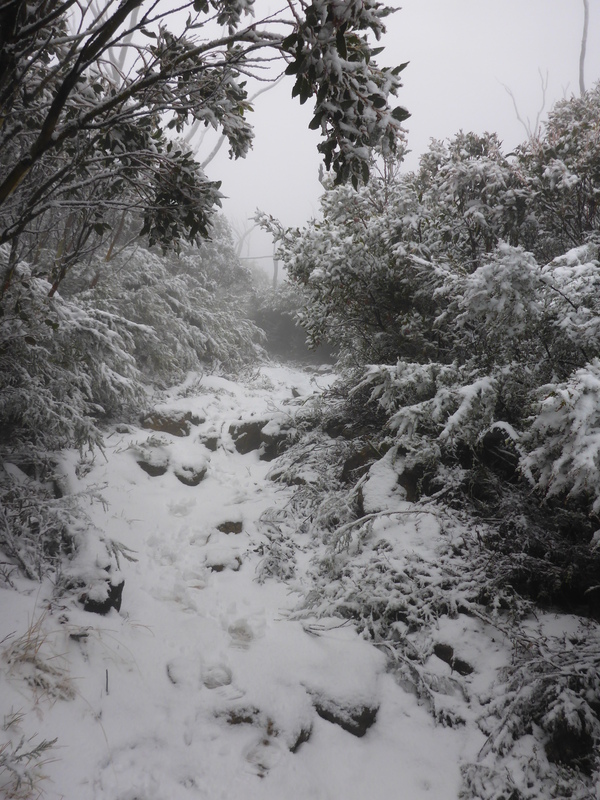 We knew the weather on the walk out was going to be unfavourable as the media warned Victorians to prepare for a “Polar Blast”, “Arctic Vortex” and “The biggest cold snap in 15 years”. 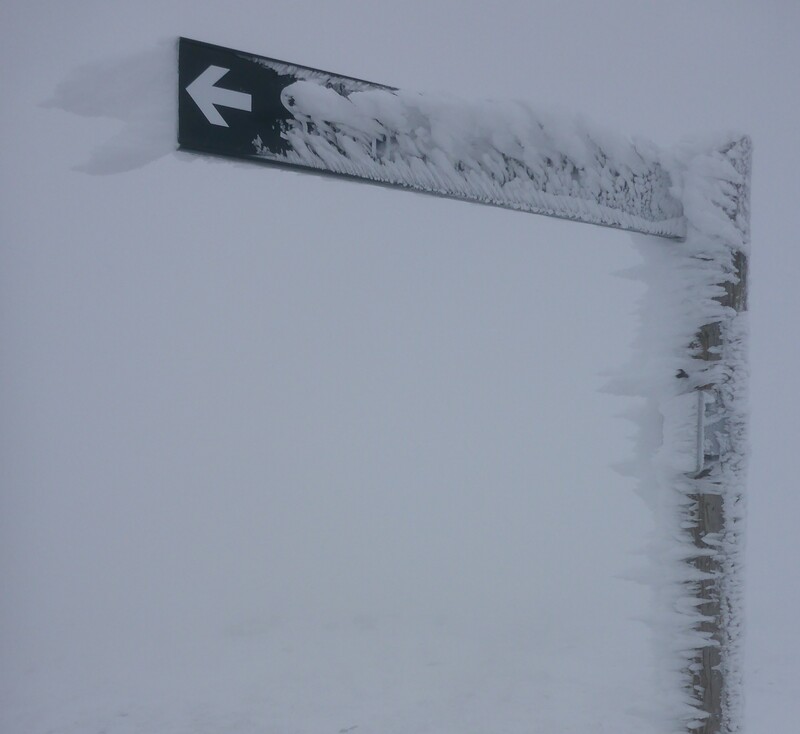 So we got an early start and missed the worst of it. 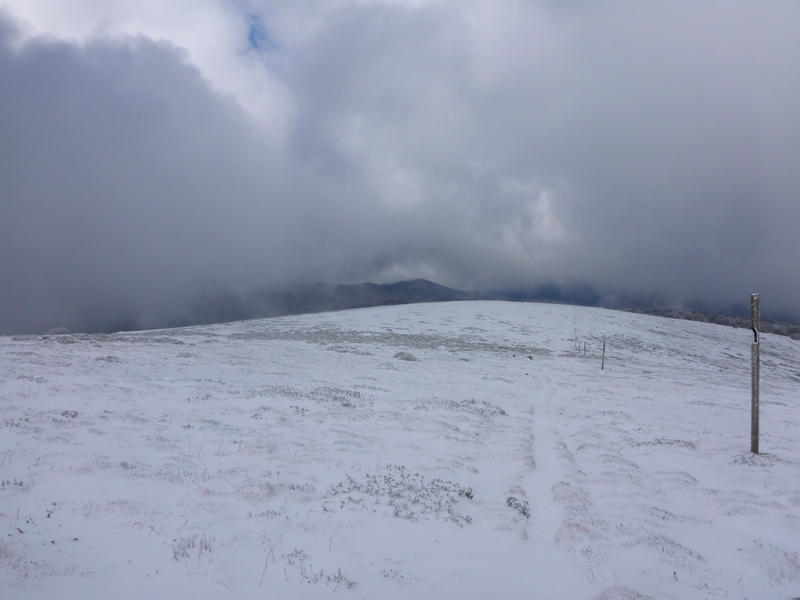 We walked back to the protection of the treeline without incident where we saw some keen hikers who were heading up the mountain. 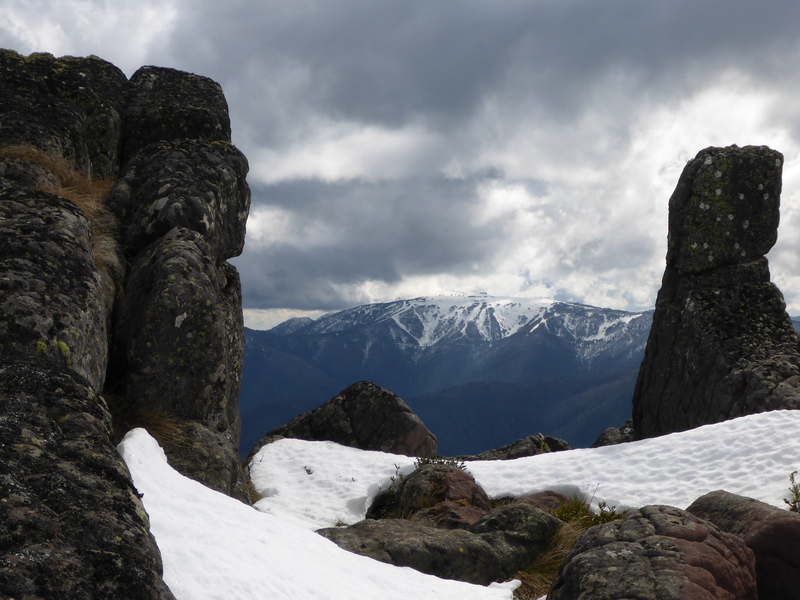 It was a good trip and the poor weather added a challenging element to the hike. 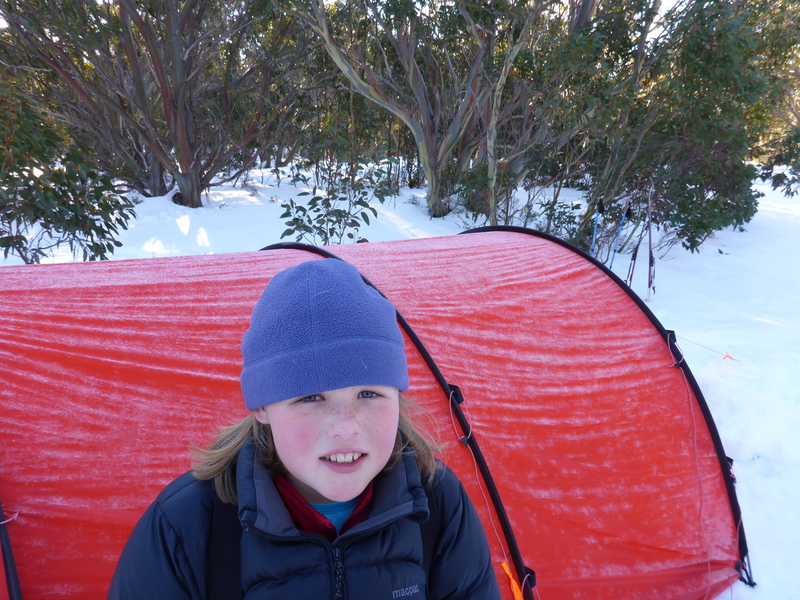 My old mate Cam and I try to take the kids out for an overnight trip every winter and we had a great time this year. Good weather + no injuries = successful trip. 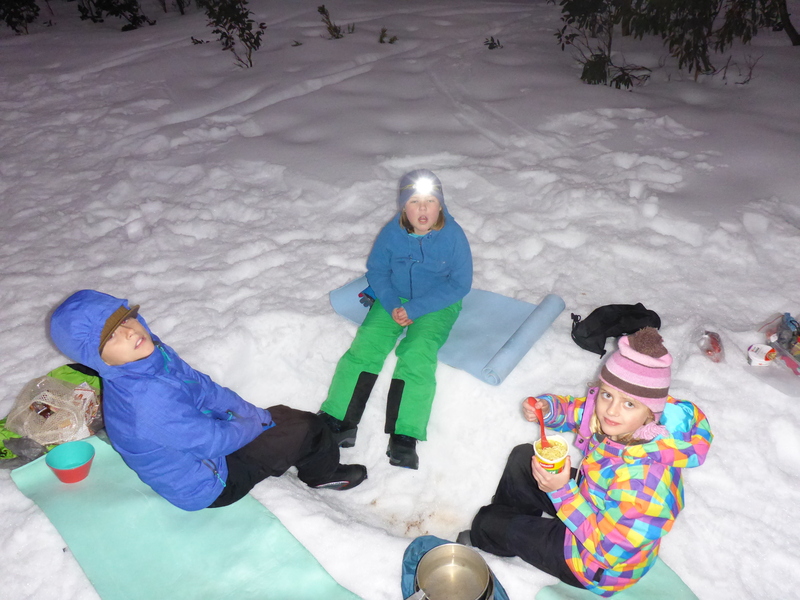 No need to make a booking for dinner – just dig out your own dinner pit. Trust me – I’m a doctor….. 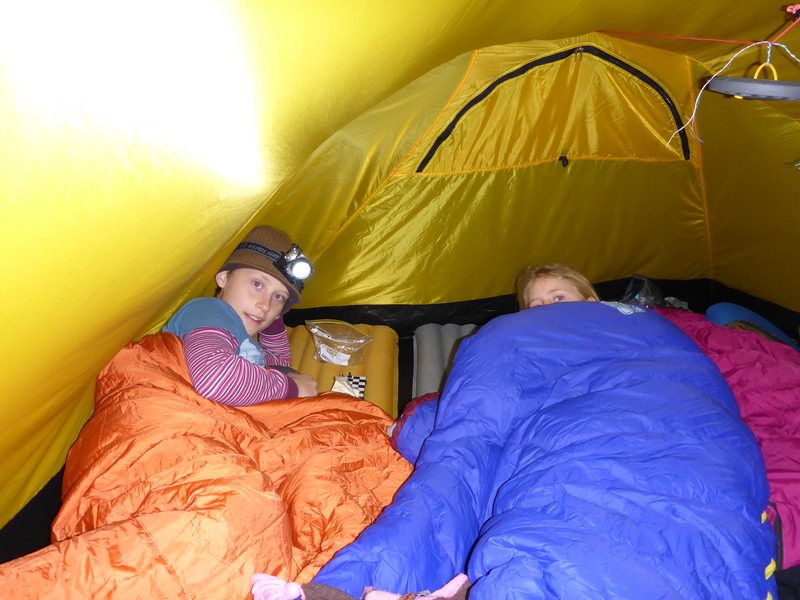 Inside the Hilleberg Nallo 4 GT. Very spacious for 3 people. 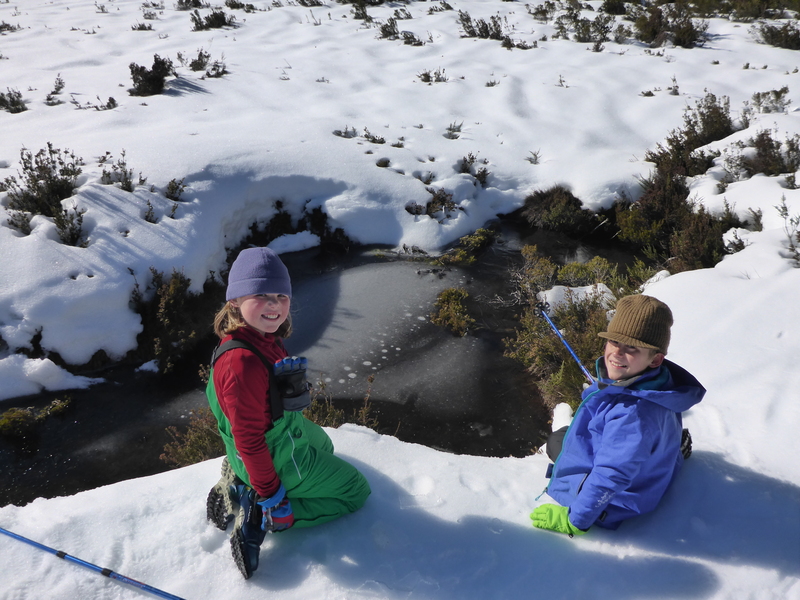 Having fallen through the snow into icy water myself a couple of times I was just waiting for one of the kids to fall into the water – but luckily they managed to stay dry. 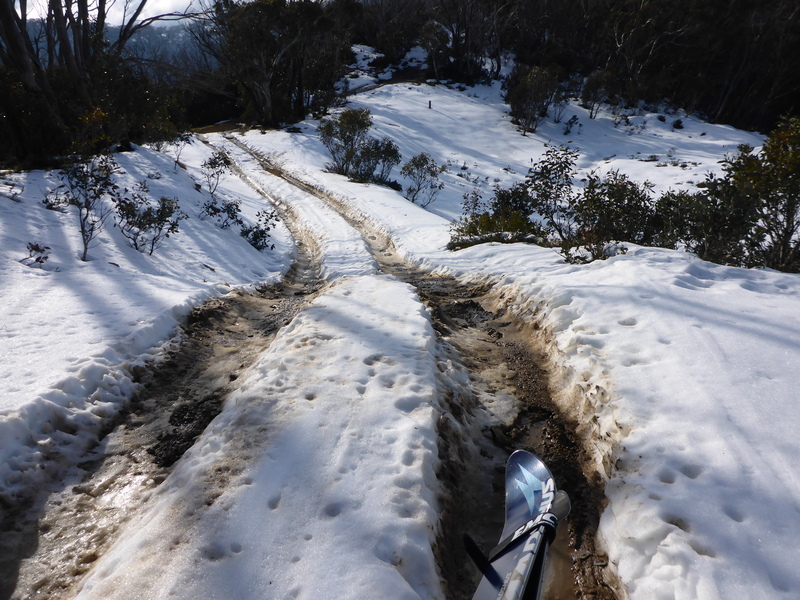 Unfortunately the cold overnight temperature turned the snow into rock hard ice. 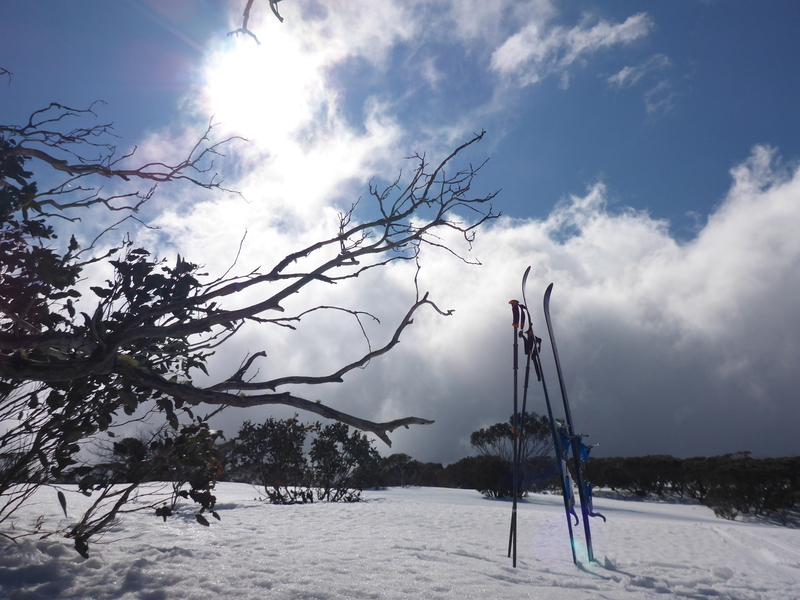 We hoped it would soften with the morning sun but skiing down the track back to the carpark was very treacherous even though it isnt very steep. 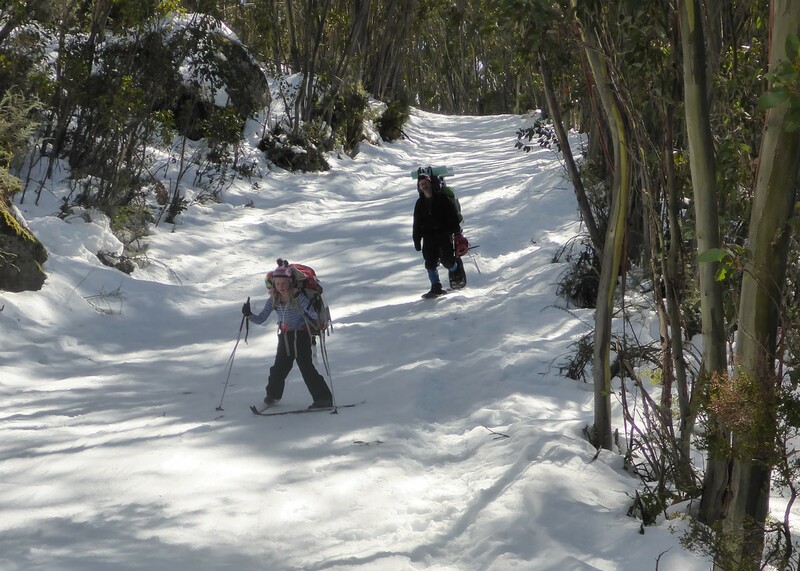 The smarter move would have been to carry the skis and walk back down the hill. 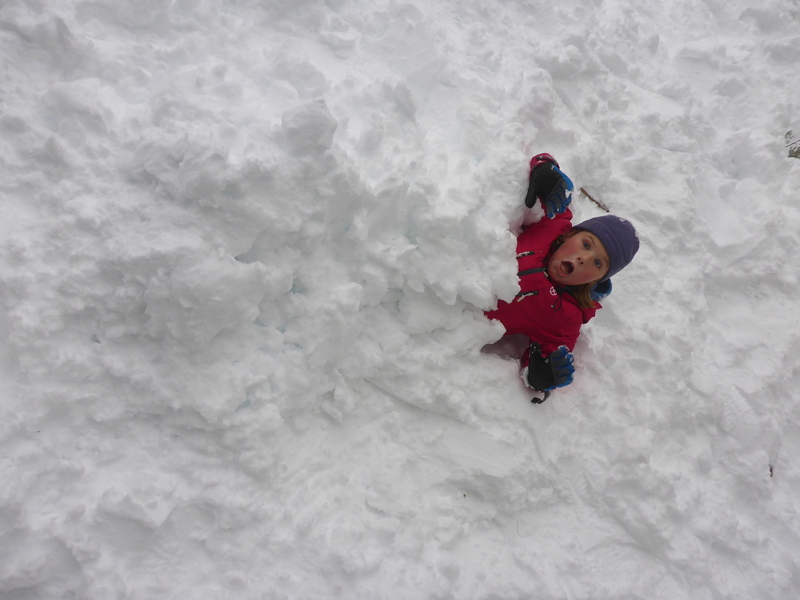 It always amazes me the awkward angles and positions kids can get into without actually breaking something. We all spent plenty of time on the ground. 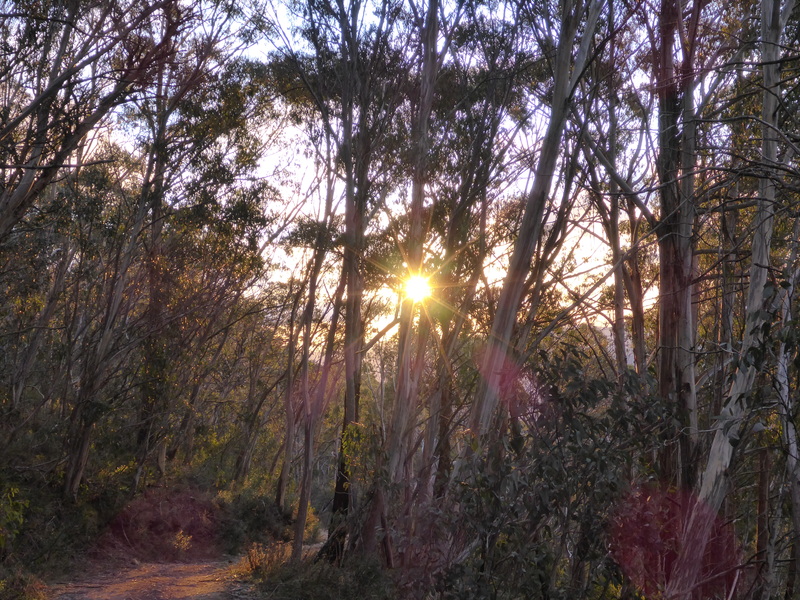 Buried alive (This photo was from a different trip at the nearby Mt Baw Baw). 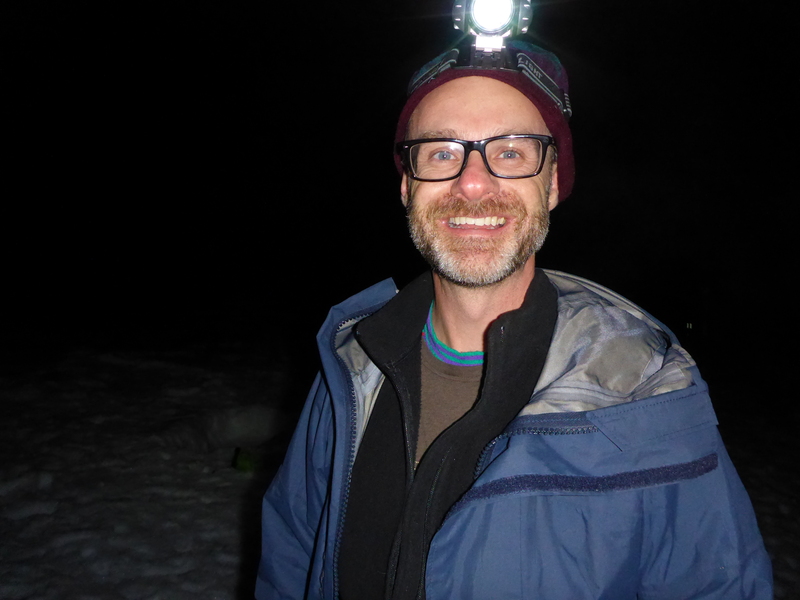 I headed up to the mountains after work one Friday night to see if I could find some backcountry snow and work on my poor skiing technique. 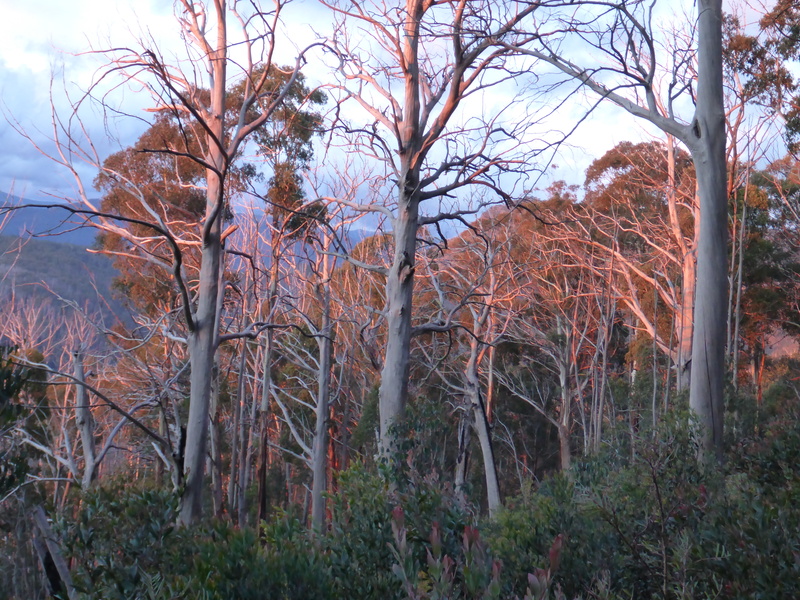 With a long drive and a short walk up the hill I arrived at Bluff Hut around midnight. 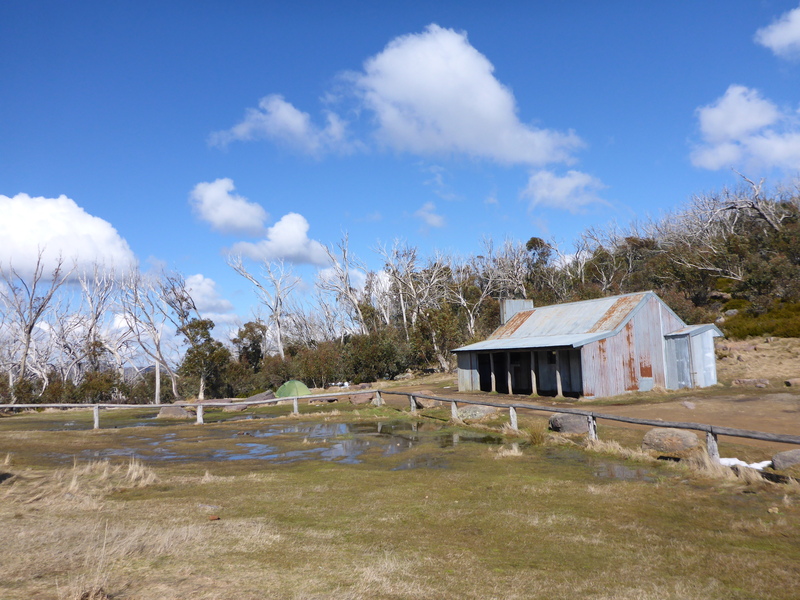 I was struggling to find somewhere to camp because the warm wind had melted most of the snow which had turned the area into swamp. 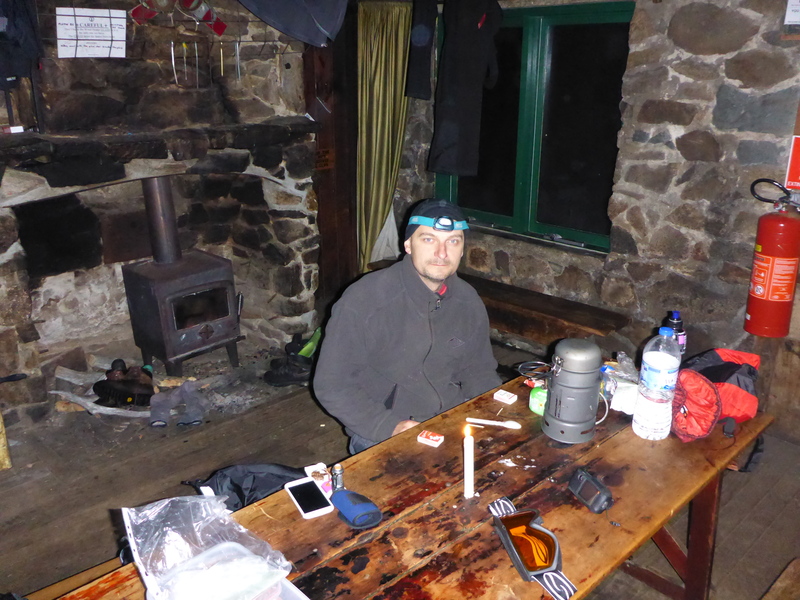 Fortunately a group of friendly old timers were staying in the hut and they showed me a nice spot where I could pitch the tent without getting too wet and/or crushed by a falling tree in the strong winds. 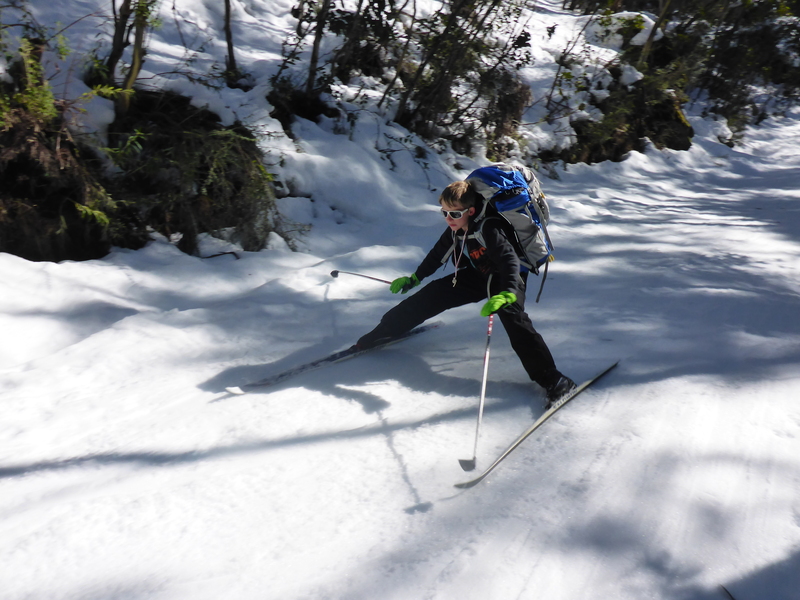 The lack of snow meant I spent more time carrying my skis than wearing them. 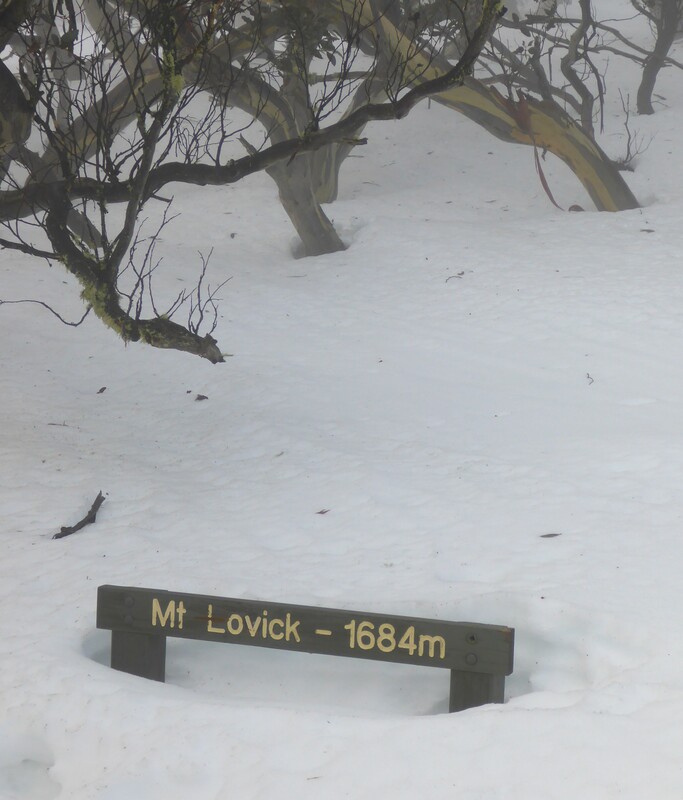 I had intended to go to Lovicks Hut but I only made it as far as Mt Lovick. 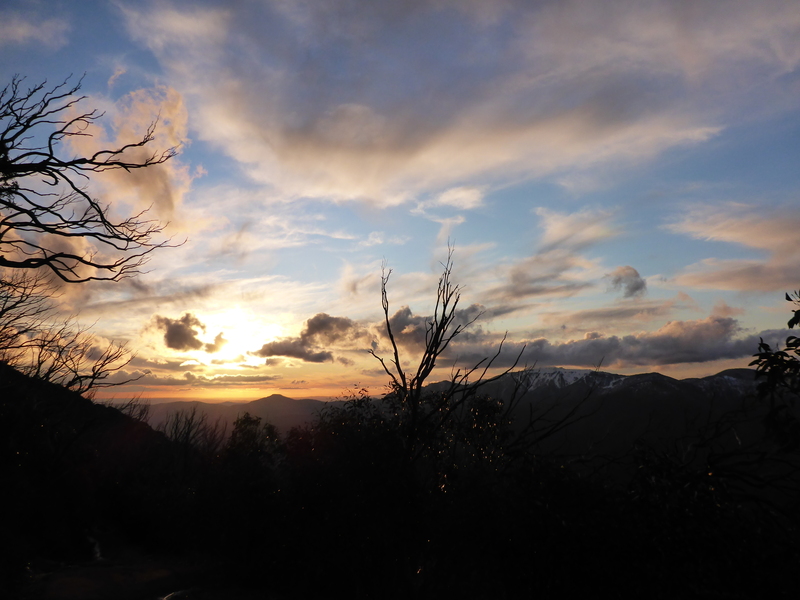 It was a remarkably nice day although a bit windy. 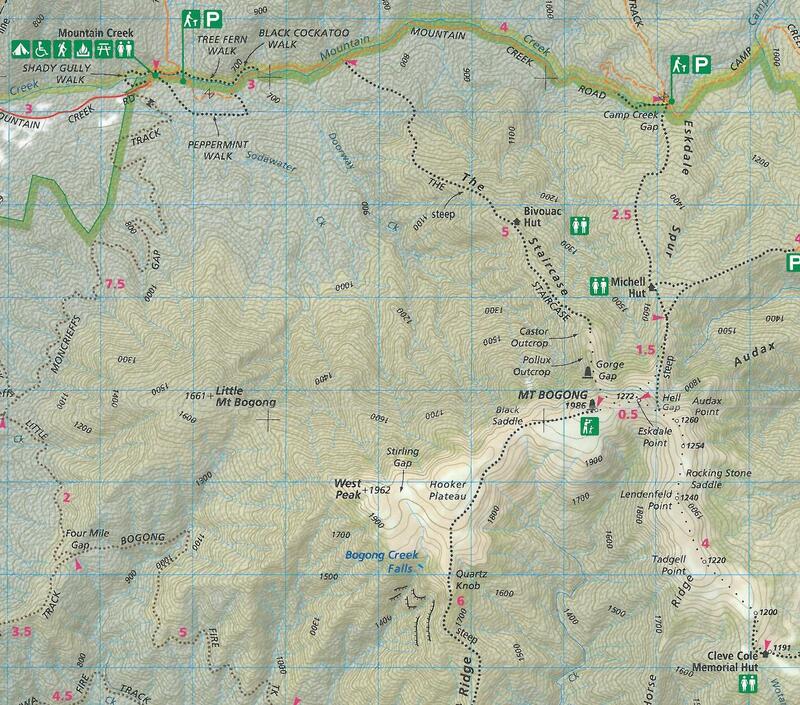 For trips in this area I recommend Spatial Vision’s Buller-Howitt Alpine Area map. Click to zoom. 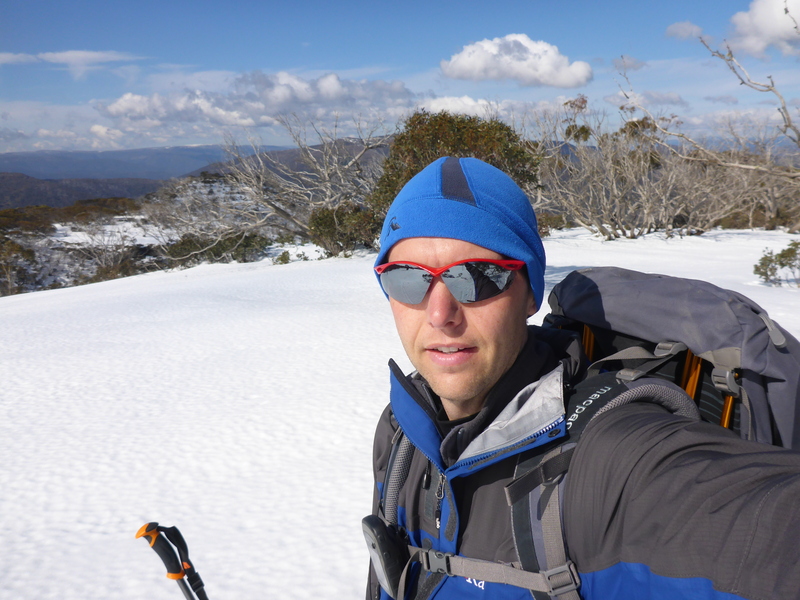 So Winter 2015 was pretty much over before it began and I still can’t ski but I always enjoy my time in the mountains. 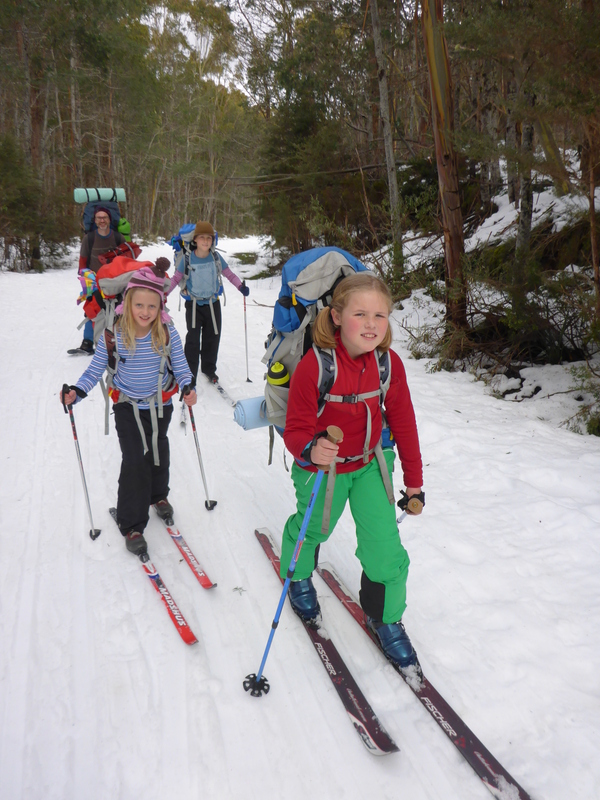 How does the Nallo 4 GT and the Keron 4 compare for backpacking/camping with kids?